How do you manage your Audition process? "As the most popular cruise line in the world, Carnival Cruise Line auditions thousands of entertainers every year to join our shipboard teams. With such a high-volume live audition calendar, AuditionMagic has revolutionized how we engage, review, and hire our entertainer candidates. It provides us a seamless digital platform that allows us to store, share, and edit audition footage for our casting processes." 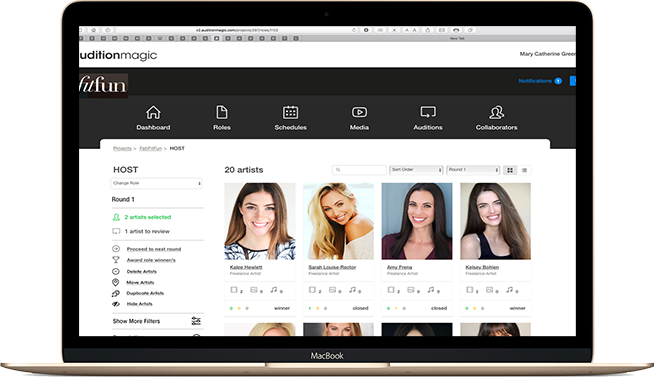 With such a high-volume live audition calendar, AuditionMagic has revolutionized how we engage, review, and hire our entertainer candidates. It provides us a seamless digital platform that allows us to store, share, and edit audition footage for our casting processes. "We are always continuously working to improve our casting process. When I found Audition Magic I couldn’t wait to begin using it! Digital headshots, being able to collaborate with my team, and the scheduling function are just a few tools that are making our process more streamlined and efficient. Most of all, the live capture function is amazing. All of our auditions are sorted, ready to be shared, and reviewed in real time. Wow! Lastly, the Audition Magic team have been wonderful to work with. They respond quickly with questions and have really made our experience with their product great." the live capture function is amazing. All of our auditions are sorted, ready to be shared, and reviewed in real time. Wow! "As a Director this is how I want to review my auditions and make collaborative decisions, from my computer or iPad, that's why I will use it on all my feature films." As a Director this is how I want to review my auditions and make collaborative decisions, from my computer or iPad, that's why I will use it on all my feature films. 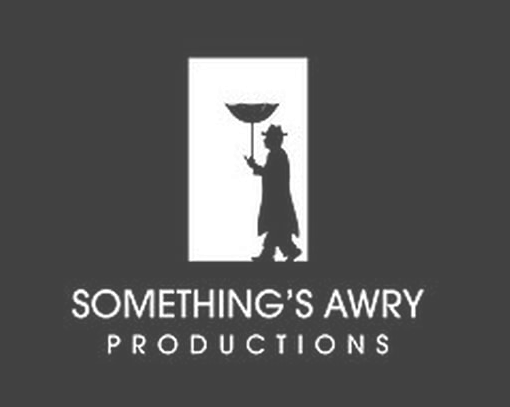 "Audition Magic made our internal casting process for our Warner Brothers Web Series so much easier, with its ability to help us sort, select and cast hundreds of applicants! The ability to have one central spot that everyone can look at and rank potential actors was very helpful. Looking forward to seeing it roll out to the U.S. and beyond!" 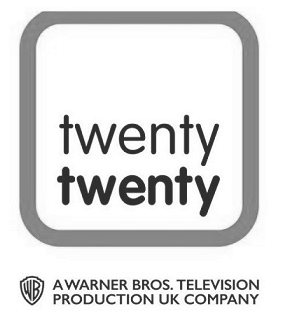 Audition Magic made our internal casting process for our Warner Brothers Web Series so much easier, with its ability to help us sort, select and cast hundreds of applicants! 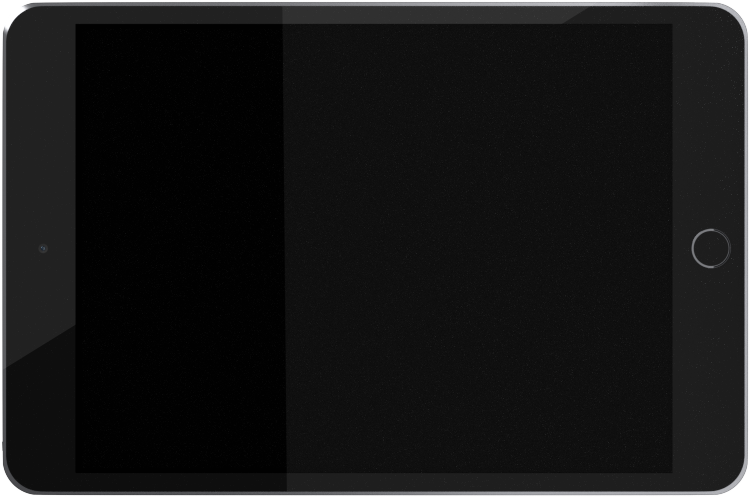 "It's about time someone made the iPhone of casting software! Audition Magic is by far the most intuitive, sleek and easy to use casting software I've found on the market. It's design makes it super easy for newcomers to quickly adapt to and work with, which is very helpful when sharing with clients who are so accustomed to the older platforms. The Audition Magic team goes above and beyond to ensure their casting directors users are comfortable with using Audition Magic and are always available to answer any questions I've had. This is a great change for anyone looking for the the next best thing. I have gotten great feedback from my producers, directors and clients and plan to continue using it for all my casting needs." It's about time someone made the iPhone of casting software! Audition Magic is by far the most intuitive, sleek and easy to use casting software I've found on the market. "Audition Magic has listened to the industry and the results are great, they have worked hard to give us exactly what we need, it's easy to use, for us and our clients - the feedback has been great." 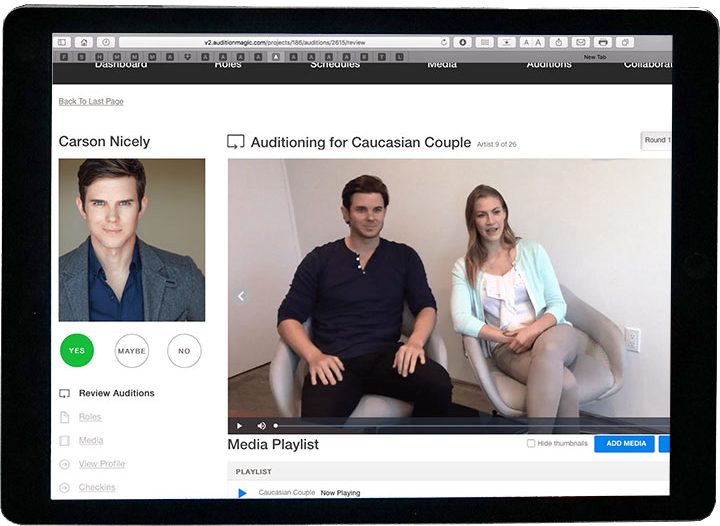 "Audition Magic & Studio App is a one-stop-shop in Casting. Everything is done at the click of a button from sending a casting brief, scheduling talent to auditioning and uploading - which happens within seconds of an Actor leaving the casting studio room! 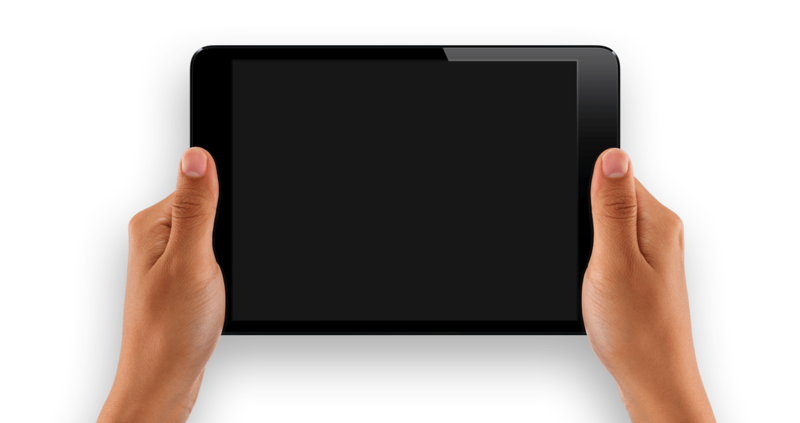 Not only is it a smooth process, it’s user friendly and most importantly, time efficient. Audition Magic…..It really is MAGIC!" 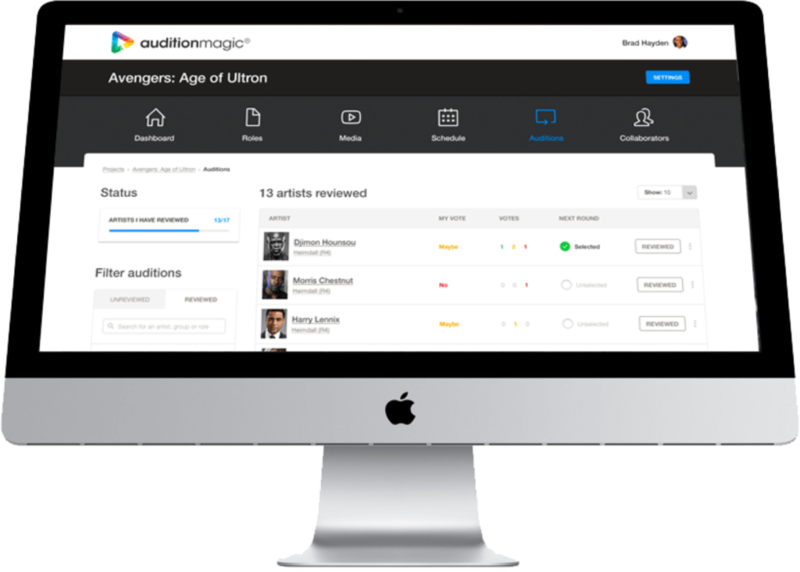 "Audition Magic & Studio App is a one-stop-shop in Casting, not only is it a smooth process, it’s user friendly and most importantly, time efficient. Audition Magic…..It really is MAGIC!" "Audition Magic makes casting a breeze. 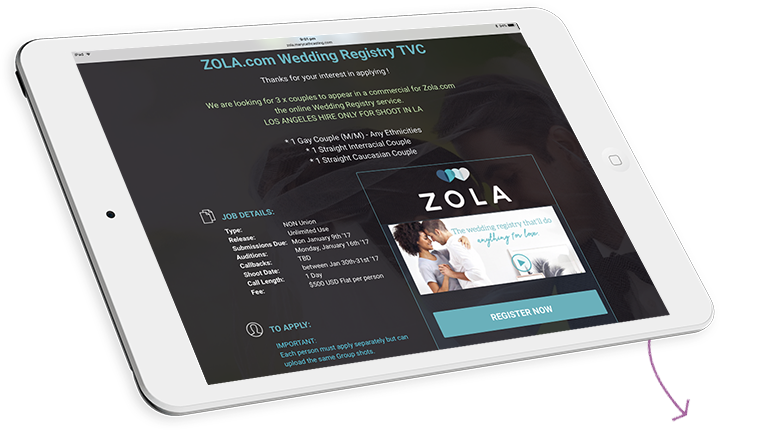 It's a seriously brilliant system, my clients commented how easy it was for them to use and watch auditions on their iPad and my job was completed without fuss, Gotta love that ! thanks for simplifying my life." "Conducting a nation-wide search for teen actors for our independent Feature Film, Juvenile Delinquents – New World Order ©, we needed a complete casting & audition system to manage the huge volume of applicants . After much research we decided on Audition Magic, which made finding, scheduling and auditioning Actors in all the major cities across the nation possible within in a short time frame. The system was cost effective and improved our efficiency enormously; its is modern, sleek and user friendly. We allowed the Actors to register online through the system for specific roles and upload their self-tapes, we then used the in-built scheduling system, to schedule and notify those we wanted to see in each city which was great. 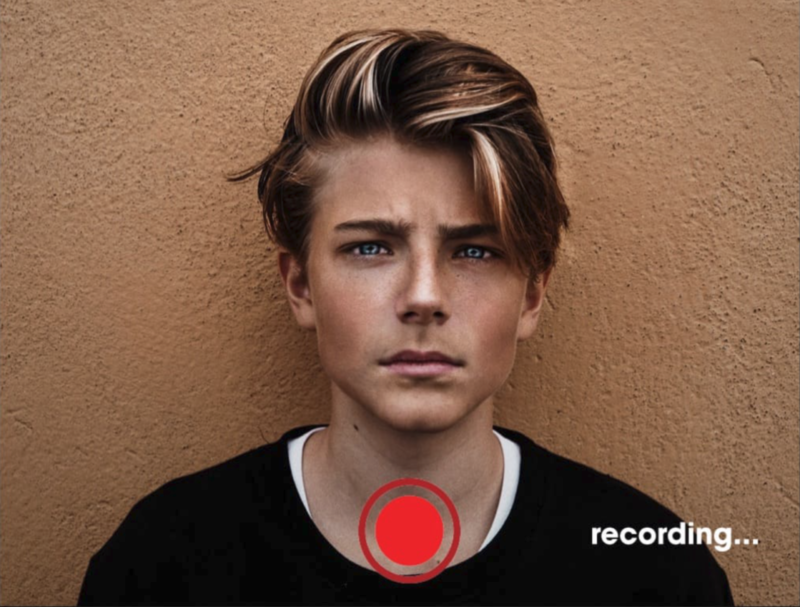 The Audition Magic HD live capture app is awesome too!, we used this to capture auditions and upload them instantly to our project in the cloud, allowing our team to view them within moments. Now we have a full database of every actor we saw, every note, comment, audition and who we awarded for each role as reference, in one super easy to use system. Audition Magic is the new industry benchmark we love it and will be using it for our sequel." Audition Magic is the new industry benchmark, it made finding, scheduling and auditioning Actors in all the major cities across the nation for our independent Feature Film possible within in a short time frame. The system was cost effective and improved our efficiency enormously with it's modern, sleek and user friendly interface. "Finally something that simply takes the hard work out of the audition process. Easy to use from the selection of applicants, through to scheduling and then casting - the whole team simply LOVE Audition Magic." "Using Audition Magic has made our audition process so much more streamlined and efficient – giving us the time to focus on the more important things. Our creatives love the ability to connect , comment and vote collaboratively live during auditions and keep all of the information in one central place." "Using Audition Magic has made our audition process so much more streamlined and efficient – giving us the time to focus on the more important things"
"Audition Magic makes booking and scheduling a breeze, the drop and drag functions save so much time - not to mention saving a forest of trees in the process!" All your Projects in the one convenient place accessible on any device in an elegant interface for your colleagues and clients. All your Artists you have seen across all your projects, the roles they auditioned for, the comments and votes, available anytime, anywhere. Audition magic gives you the power to stay in control of your IP. You can run your auditions in-house or outsource them and have a casting director (editor) manage your project for you, we provide you the facility to do both so the choice is yours! However with Audition Magic, you control the process and maintain ownership over all the Intellectual property of the audition assets and have a master database of every artist considered for every project you have produced thus becoming more and more powerful the more you use it. We are always continuously working to improve our casting process. When I found Audition Magic I couldn’t wait to begin using it! Digital headshots, being able to collaborate with my team, and the scheduling function are just a few tools that are making our process more streamlined and efficient. Most of all, the live capture function is amazing. All of our auditions are sorted, ready to be shared, and reviewed in real time. Wow! Share only whats important, with Audition Magic, secrets arent hard to keep, because everytime you share a project with a colleague or clients, you control exactly what they see, which roles, which Artists, even which rounds and audition media. You can duplicate permissions between collaborators, remove all permissions or add all permissions at the touch of a button, or treat eat Collaborator uniquely and share a specific set of detailed permissions with each one, ultimately the choice is yours! Invite EDITORS if you want assistance in your casting, they can schedule, live capture, upload and manage your project for you, while you still maintain control over the main project. Ultimately help is just a phone call or email away but true collaboration begins in Audition Magic ! Presentation is everything and ultimately what you present to your clients, how it is presented, their experience of that process and the ease of which they can navigate the auditions, comment, vote and ultimately decide on who they want to select, will reflect on you! 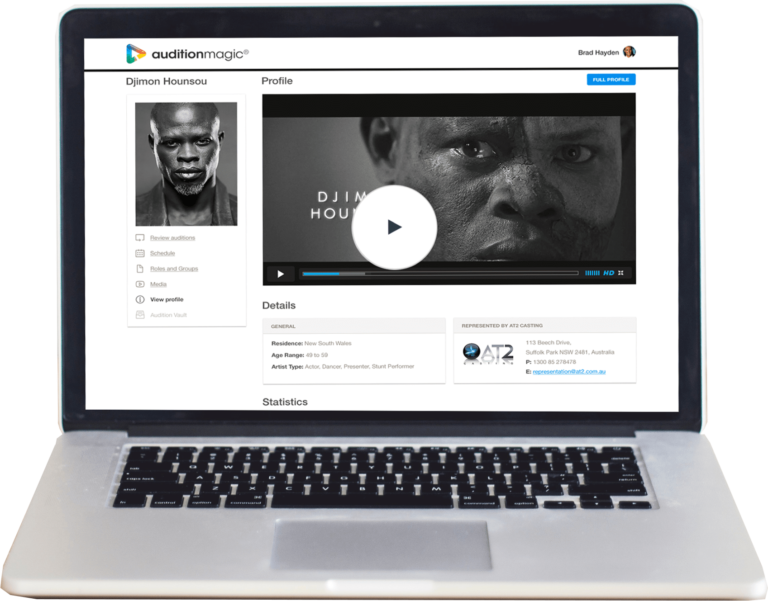 We have taken extra care to ensure that when using Audition Magic, this presentation of your auditions is not only elegant but also easy to use, intuitive and professional, so you will always have your best foot forward to your clients with audition magic. Each project in Audition Magic is allocated a unique link that allows you to advertise, distribute or share it and accept applications directly to your project online. Allow Artists to register, select the role they wish to apply for, even upload a self tape audition and images for your assesment. On those smaller budget projects, this can mean you can cut costs and audition digitally without studio time, or it can allow you on bigger projects, to cast a broader net, capture those unique or challenging role requirements, opening up more applicants for your consideration. Each project in Audition Magic has it’s own dashboard to keep you up to date with your progress, applicants and awarded artists, as well as reviews and any updates too. 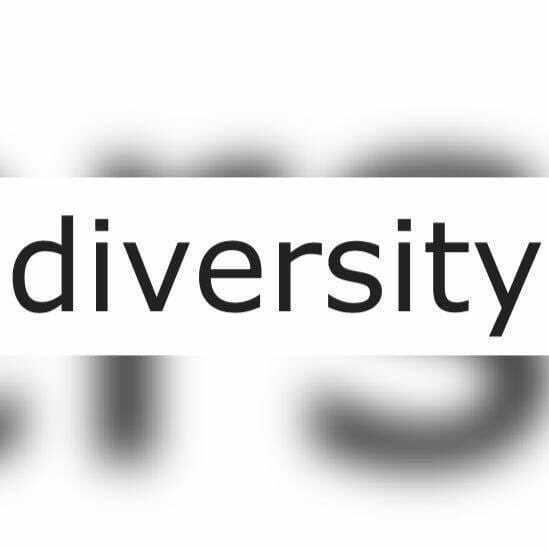 With Audition Magic, not only do you maintain ownership o your intellectual property, maintain better control of the entire audition process and ensure better audition presentation for yourself, your colleagues & your clients, but now we can equip you to empower your Casting professionals, with industry leading tools they will love! 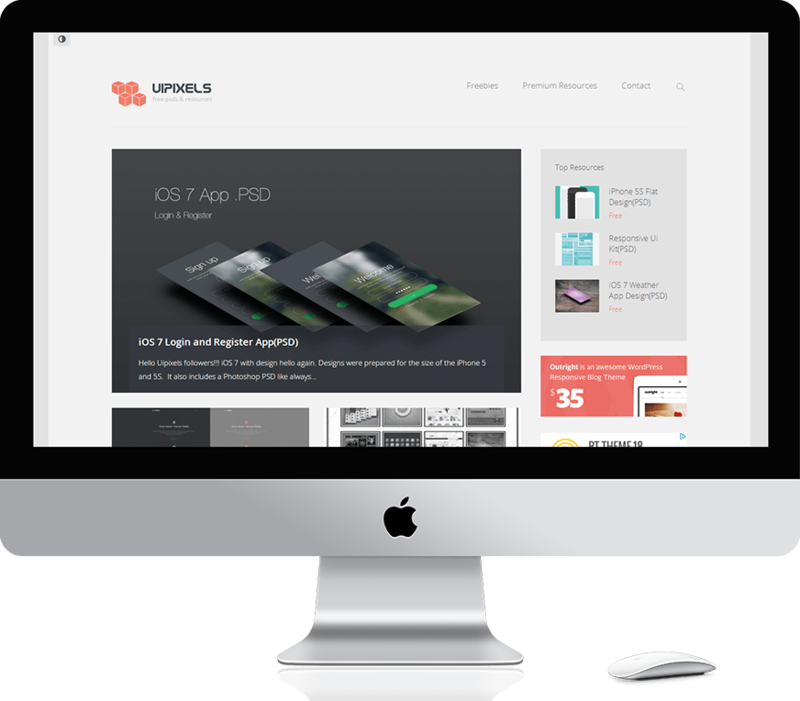 Powerful features that will transform their workflow and have them happier as a result. They can manage their auditon process more efficiently, whilst you maintain an ongoing database and intellectual property rights on every project you do, creating a powerful system the more you use it. Capture auditions straight from your camera and Mac computer with our desktop Studio App HD, use your own camera and microphone in studio and avoid all the post audition processing, saving you valuable time. Now Audition Magic provides you the opportunity to hit the streets, away from your studio and capture auditions straight from your iPad or Phone. Add Artists instantly to your project and capture their images, videos and audio files. 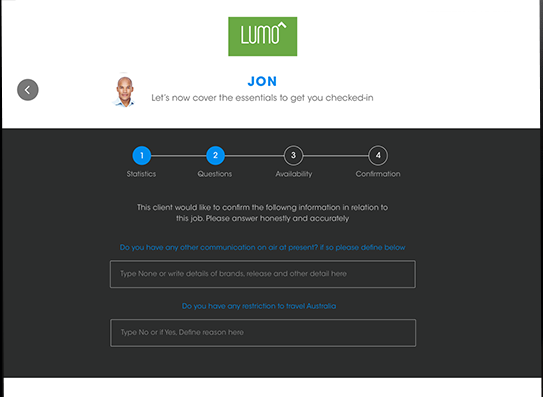 All uploaded into the same elegant interface your clients will love to use and ready to collaborate in seconds. Customise your questions for each project and have your Artists update their statistics, answer specific questions that your define, sign their name, all done digitally on an iPad in your office or on their own device. This information appears alongside their audition. 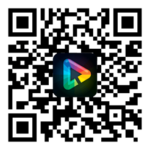 Do away with wasted paper of the past and streamlin the audition checkin process. Now for each project you can generate a QR code, print & post it on the wall in the waiting room or send it to your auditioning Artists by email, so they can use the camera on their own smart phone/device to link straight to their check-in for your project, saving time and simplifying the check-in process immensely. Drag and Drop and Auto schedule features, make it easy to create individual and group auditions for your projects, send notifications to Agents & Artists and receive confirmations back quickly and easily. 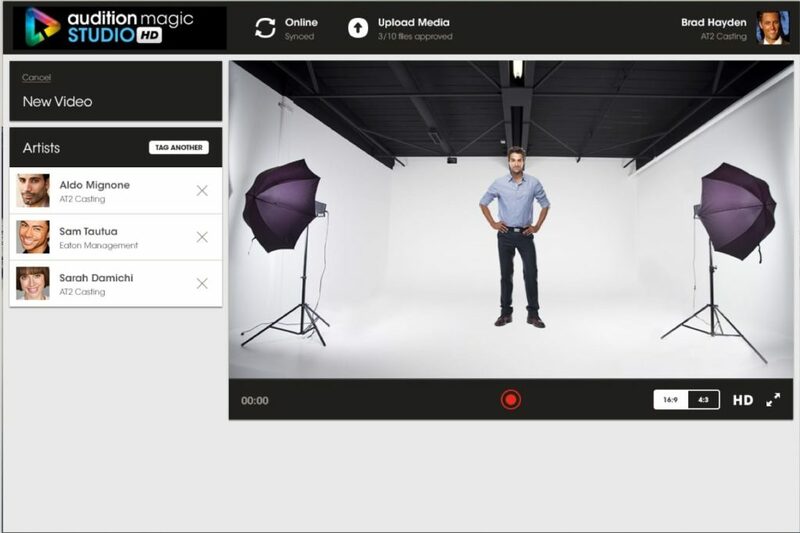 Audition Magic also has a complete online casting system, where you can search and shortlist talent and share those shortlists with your producer, create and send briefs to agencies on the database as well as freelance talent, receive suggestions back and make selections ready to import into the audition system for scheduling, live capture and collaboration with your colleagues. 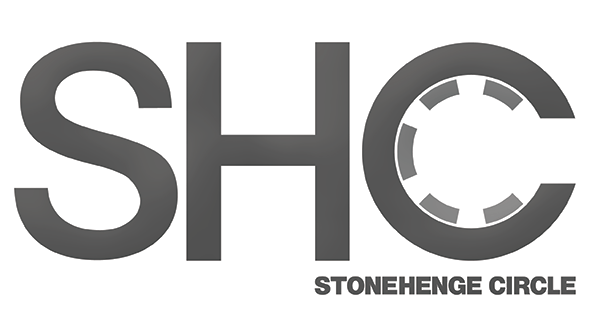 If you would like to use the casting system, thats simple too and no extra cost, afterwards when ready, simply import it with one click to the audition system to schedule/capture and audition, so either way we got you covered! 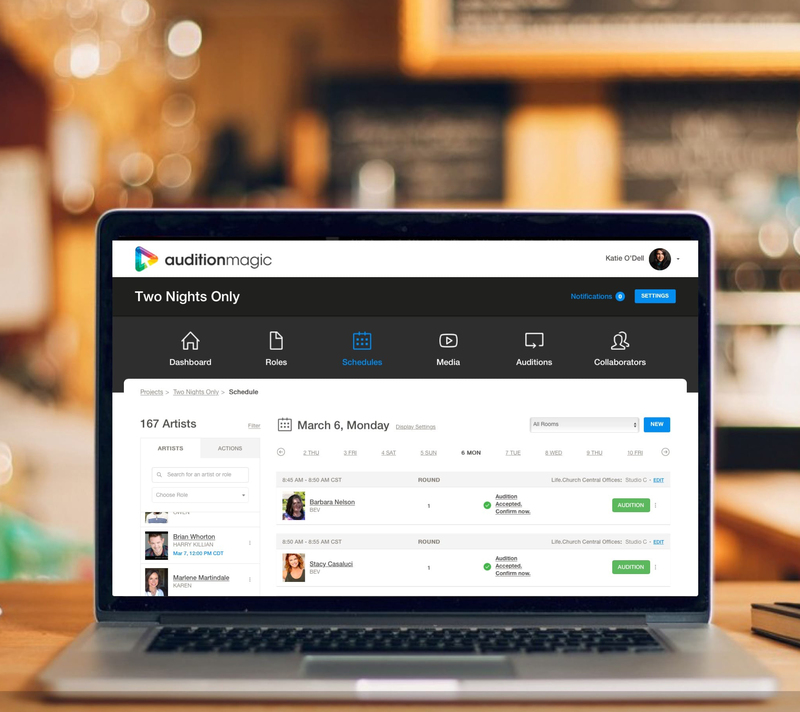 Audition Magic provides studies, production companies, theatres, advertising agencies, schools, cruiselines, casinos, theme parks, photographers, and other professionals with the complete tools to manage the entire casting and audition process end-to-end with ease. 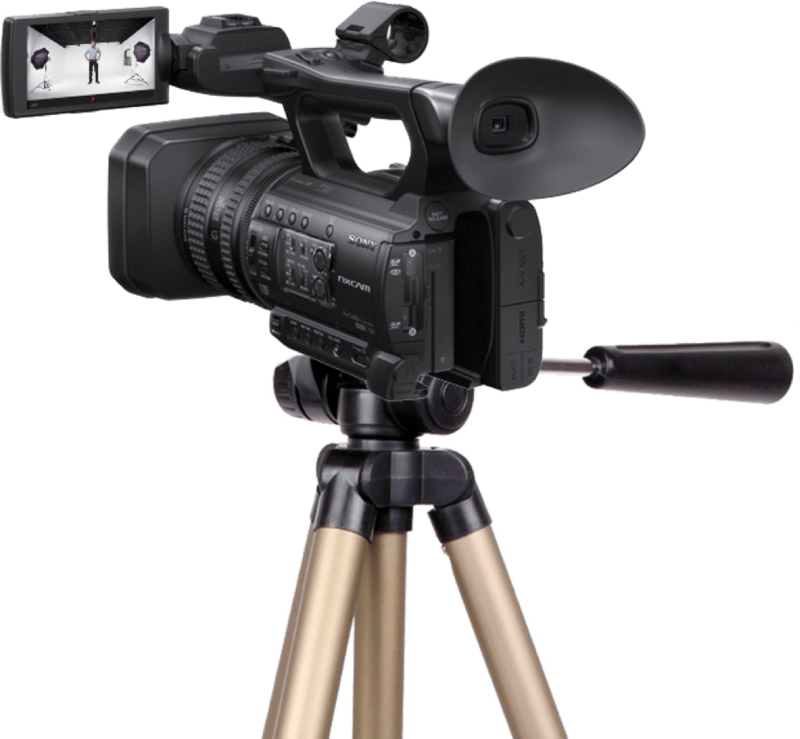 Live capture auditions in studio in HD from your camera & mac.